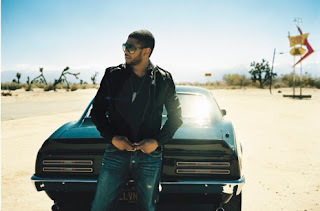 Sasha Frere-Jones wrote a great piece on the part star, Usher, in the New Yorker. I'm not a big Pop guy, but the writing is fantastic. Frere-Jones portrays Usher as a product of focus group analysis. Usher's image has been carefully constructed, and all he is, is image. No substance, according to Frere-Jones. "his personal story hews to whatever product he is currently hawking. His memories are market-based." Great writing on a subject I don't know a whole lot about. That's what the New Yorker is all about.